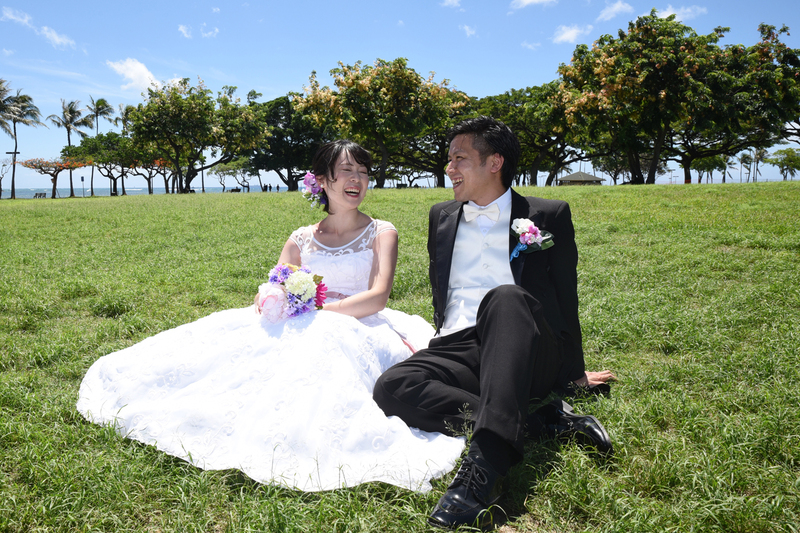 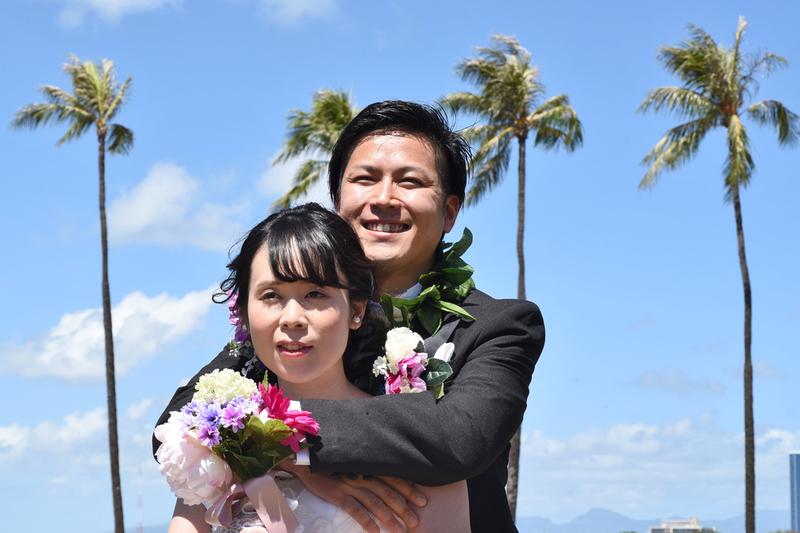 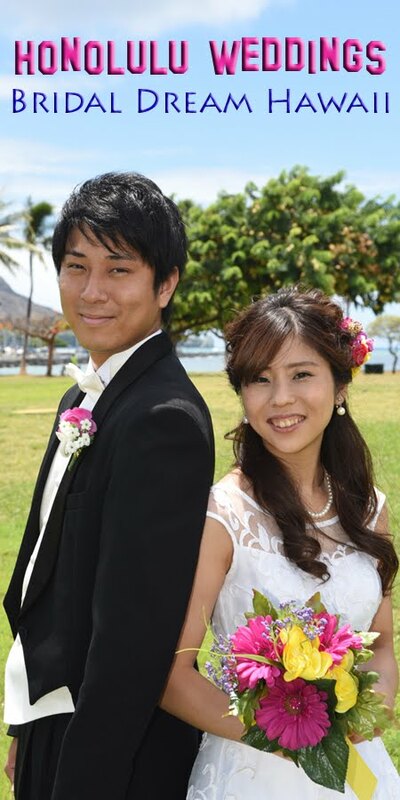 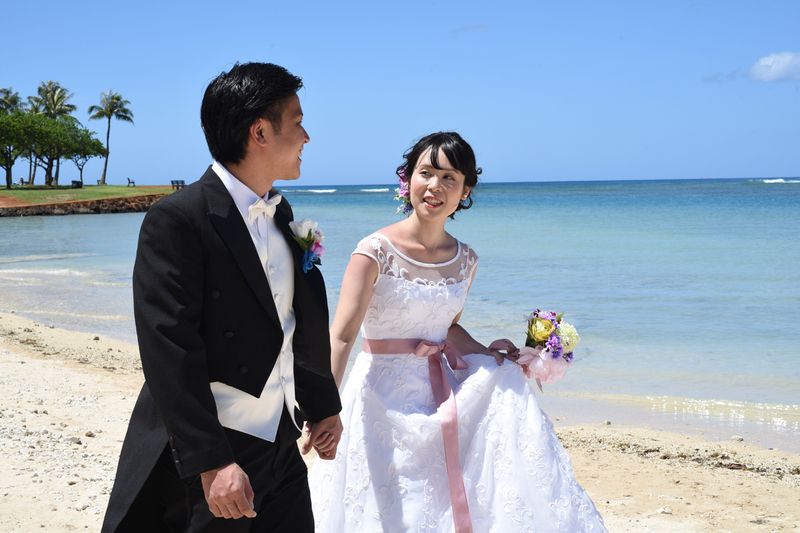 Four coconut trees lined up make a lovely Honolulu backdrop for Shinichi and Yumika's wedding photo shoot in Hawaii. 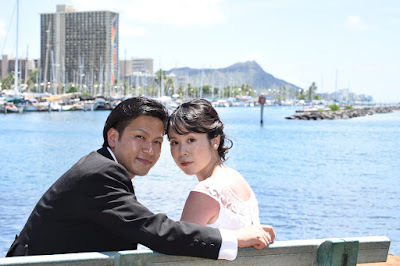 Romantic Hawaiian honeymoon at Magic Island, just a mile from Waikiki. Diamond Head view is a "must-see" for everyone traveling to Honolulu. 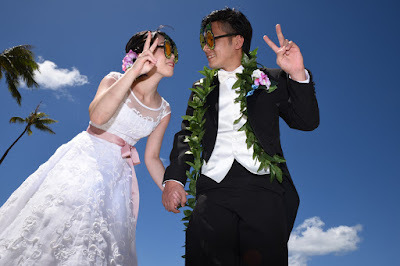 Oahu Wedding photography by Robert Hamilton. Contact us anytime to schedule your photo shoot. 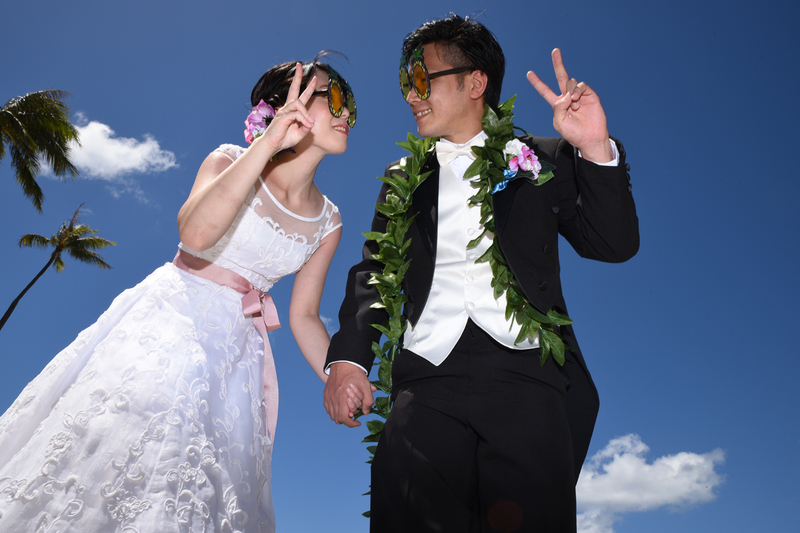 808-772-1140 Mahalo!